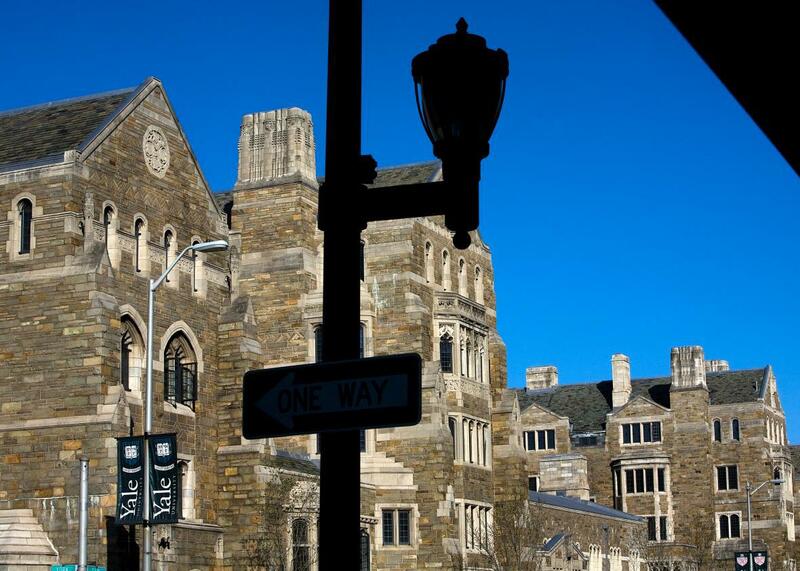 Yale students protest over racial insensitivity and free speech. The Yale campus in New Haven, Connecticut. How did this happen? On Wednesday, Oct. 28, Yale College Dean Burgwell Howard sent out an email to the entire student body asking Halloween-goers to be sensitive to the cultural implications of their costumes. Though Burgwell defended students’ “right to express themselves,” he encouraged them to “actively avoid those circumstances that threaten our sense of community or disrespect, alienate or ridicule segments of our population based on race, nationality, religious belief or gender expression.” The lengthy email—replete with suggestions for inoffensive costumes and links to information on various stereotypes—angered some Silliman students, who felt straightjacketed and condescended to and protested to both Nicholas Christakis and his wife Erika. Erika Christakis, a child development researcher, sent out a response shortly after midnight on Friday, Oct. 30. Is there no room anymore for a child or young person to be a little bit obnoxious … a little bit inappropriate or provocative or, yes, offensive? American universities were once a safe space not only for maturation but also for a certain regressive, or even transgressive, experience; increasingly, it seems, they have become places of censure and prohibition. A new group of students, who presumably welcomed Dean Howard’s note about Halloween sensitivity, interpreted Christakis’ message as evidence of a persistent racial blind spot on campus. It did not help that members of a Yale fraternity allegedly turned away black women at a party that Friday. (Nor that prominent black critic Elizabeth Alexander is decamping for Columbia, which has put the diversity of Yale’s faculty under heightened scrutiny.) More than 740 members of the Yale community—from undergrads to alumni to professors—penned an open letter “telling Christakis that her ‘offensive’ email invalidate[d] the voices of minority students on campus,” according to the Foundation for Individual Rights in Education’s Torch blog. The following Thursday, several hundred students gathered outside Yale’s main library to illustrate their frustration with the university’s racial politics in chalk. I was shocked to watch students treat their professors and administrators with such disrespect. But horrified emotional responses aside, it’s troubling to see the Christakises scapegoated for defending the crucial liberal tradition of free speech. That’s not to dismiss the pain of students of color; I’m sure Yale proves far less hospitable to them than to the wealthy white scions it was founded to serve. Nor should anyone mourn the days of good old college fun, when wearing a racist Halloween costume was considered a harmless bit of white wing-spreading. But in censuring the Christakises for wanting to create “an intellectual space,” students are vociferously exercising the very rights—to speak out against people and practices they find objectionable—that the Christakises seem to want to protect.